Eagles Landing Resort and Recreation is a private resort that is bringing families back together, one camp site at a time. The resort's motto is families that play together, stay together and they offer fun and exciting park activities such as basketball, horseshoes, paddle boats, volleyball, badminton, swimming pool, mini golf and so much more that your kiddos will drop their electronics to play like never seen before. 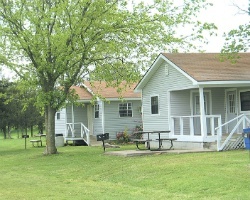 This lakefront resort offers peaceful, beautiful surroundings that you can enjoy while staying in fully equipped cabins or in your own RV. 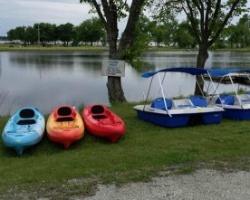 Amenities include 11 pull through spots, 98 partials, 35 full hook-ups, 21 cabins, boat slips and ramps, restrooms, showers, laundromat, propane pump, 24 hour security, country store, fishing supplies, live entertainment, Wi-Fi and much, much more! Explore the outdoors each year during prime season!